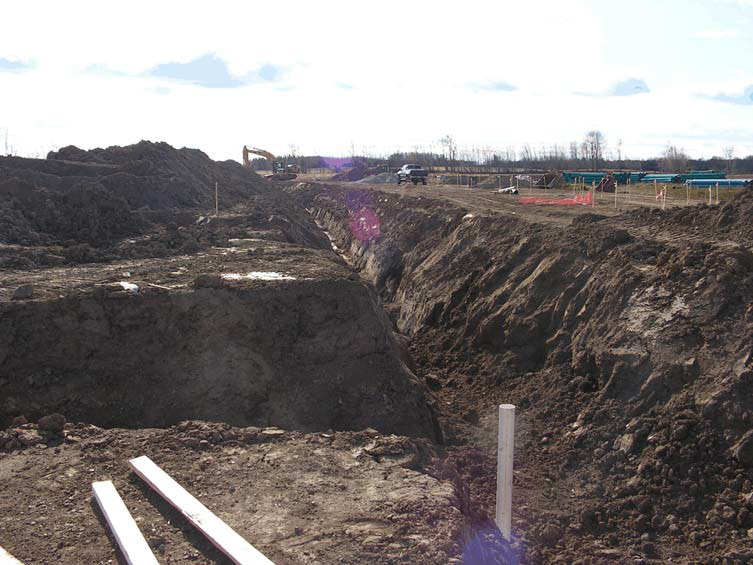 In the summer and fall of 2008, ParklandGEO acted as a sub-consultant to Prism Engineering and provided materials engineering and testing for the underground service installation, site grading and site paving at the Lakeview Estates Subdivision site in Stony Plain, AB. The project included underground service installation, general site grading, paving, and other general site work. The site was approximately 3.6 hectares in total size. Extensive backfill problems were encountered during construction due to the nature of the silty clay backfill material as well as the high moisture contents of the backfill material. The backfill had to be dried before placement and carefully compacted. ParklandGEO provided testing services as well as materials engineering services throughout the entire period of construction. The main ParklandGEO staff responsible for this project were Mike McCormick as project manager, Candice Karas as field supervisor and Alex Thomson as a materials tester. ParklandGEO also provided trench backfill and pavement structure recommendations throughout the project.